When Lou started school I was really worried about her. She had a very difficult time learning to read and write. She had a tendency to write most of her letters backwards and when she would read she would often times reverse the order of the letters within a word making it very difficult to sound out. She would also confuse certain letters with others and not surprisingly became extremely frustrated. It was a really hard time for her and there were many days of crying as she tried to work through something that came so easily to her sister. This compounded the problem. Following in her sister's footsteps when it comes to schoolwork has been a real test for Lou. She is so smart, and so happy to learn and most of all eager for recognition of a job well done. 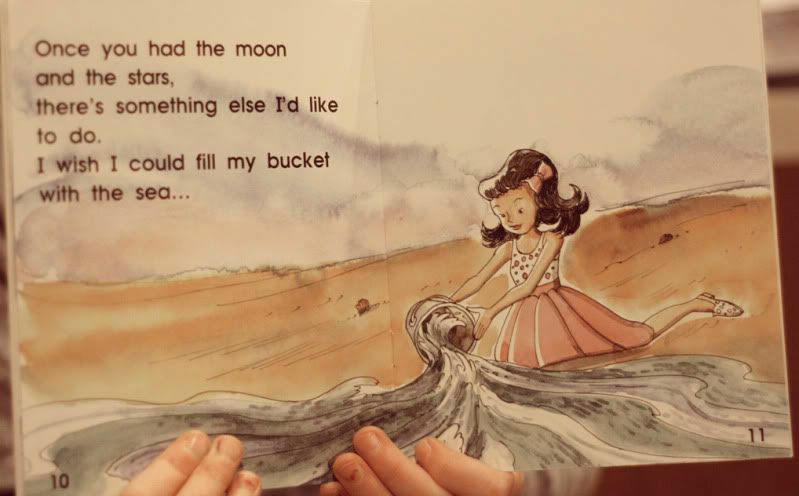 She pushed through learning her letters even though it was not fun, and this year she has started reading small books. 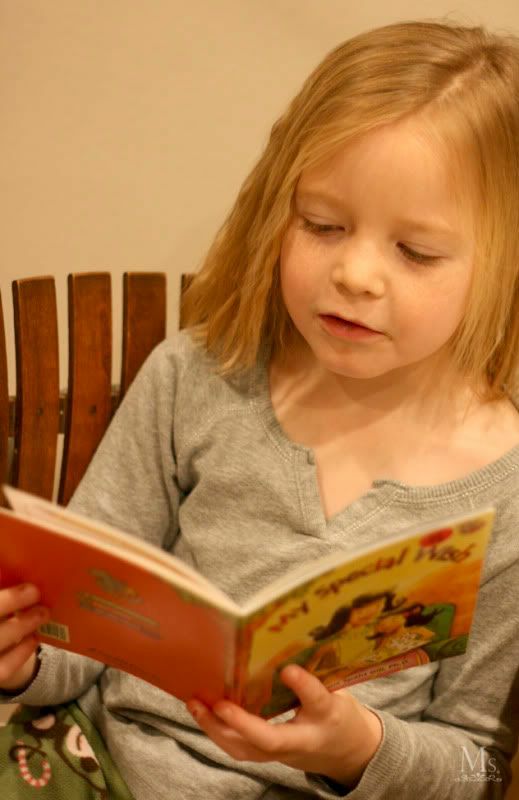 I have recently noticed a major change in her attitude toward reading and I am astonished at her new found excitement. 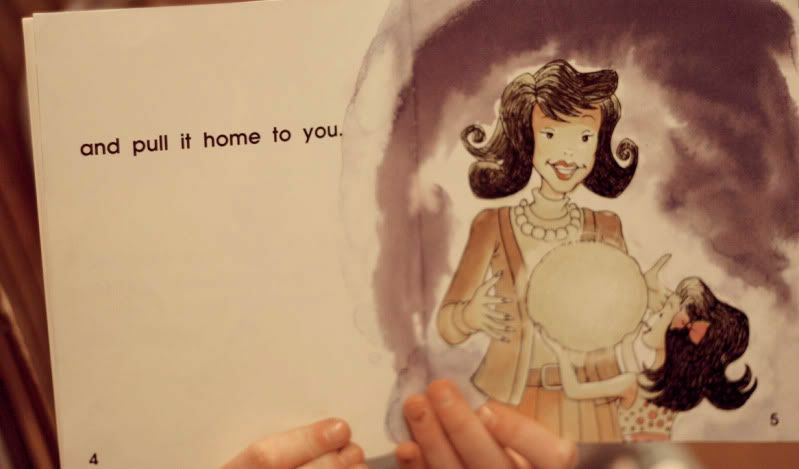 Her school has a program where they send a book home every day for her to read that must be returned undamaged the following day. If it isn't returned not only does she not have the opportunity to take another one, but there is a small fee attached to the neglect. Lou is an extremely good hearted little girl, but she is more of a throw caution to the wind type spirit. She goes with the flow. She is not really into details, and is happy with whatever comes next; however, when it comes to returning her books to school she has a keen awareness regarding her responsibility for the school's property and more than that a real understanding of the fact that if she does not return it she will not be allowed to continue with this program. I have been amazed at her attention to these books, the way she cares for them and how she always makes sure they are in her backpack and ready to be returned on time. 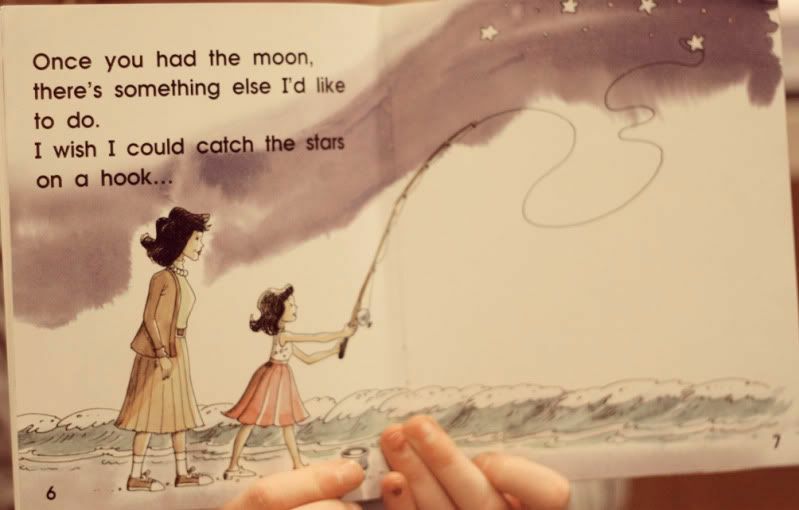 She is diligent in reading them each night, which is a major change from the times in the past when she struggled so much to put words together through sound. Needless to say, I am so proud of her. 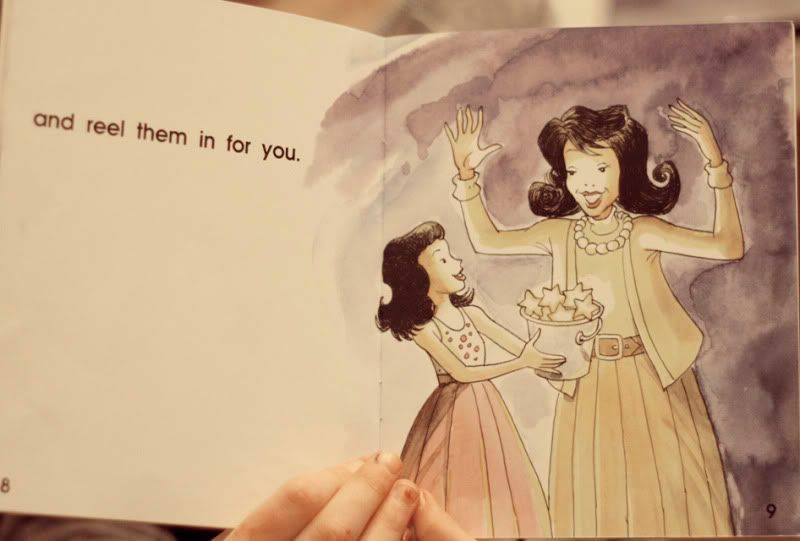 She has conquered a task that almost conquered her, and she has found enjoyment in diving into the various stories that she is presented with each day. Lou is gifted with an enormously creative imagination, and she has discovered that her imagination combined with a good book can truly be addicting. With all this being said imagine my delight when she insisted that I sit down with her earlier this week to hear her book of the day. She prefaced it by telling me that this is her favorite book thus far, and that she was tempted to not return it and pay the fine just to keep it forever. I had no idea it was about to get better. 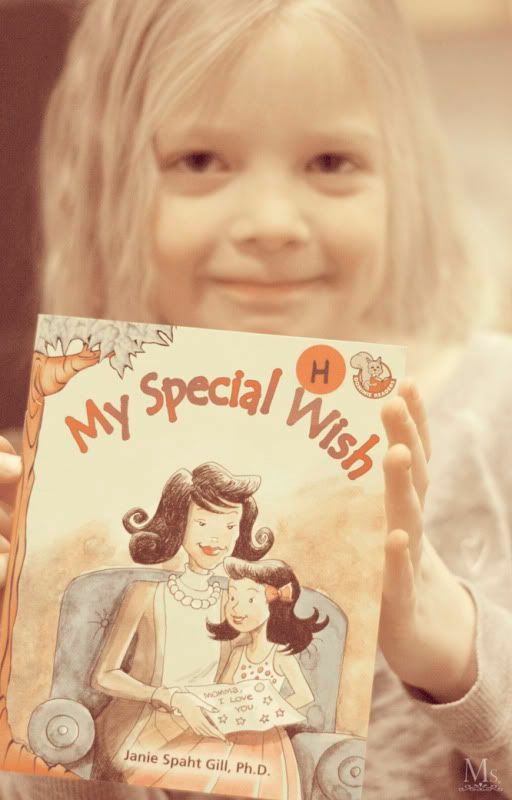 Take a look at her book entitled "My Special Wish". What a wonderful gift that Lou gave me this week. 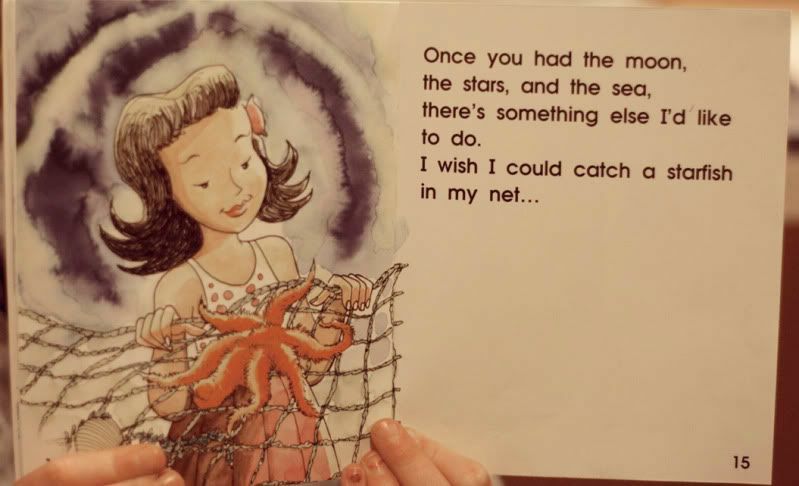 I love this story, and more than that I love that she read it to me all by herself. I love that she has been determined enough to work through her frustration to not only beat this hardship, but to turn it into a new love. I love that she can not only read, but that she understands what she is reading. 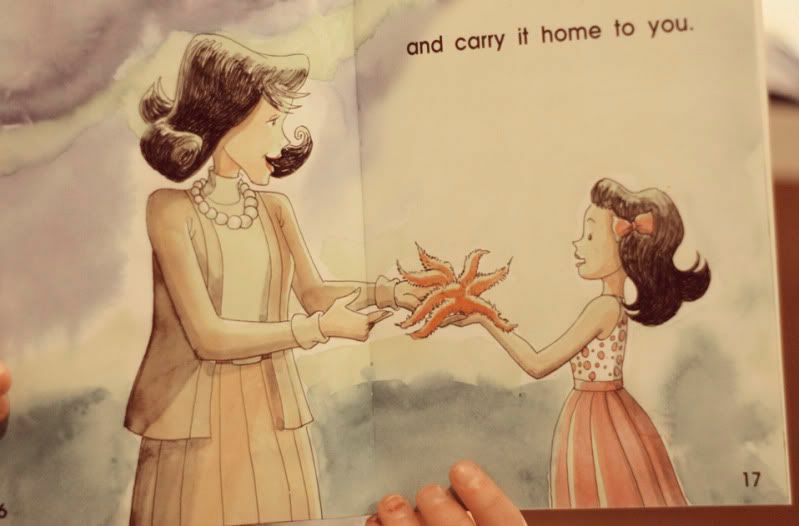 I love that reading is a special gift that she will treasure forever because she had to work so hard to do it, and I love that she made me sit down to share this gift with me. I am so proud of you Lou. 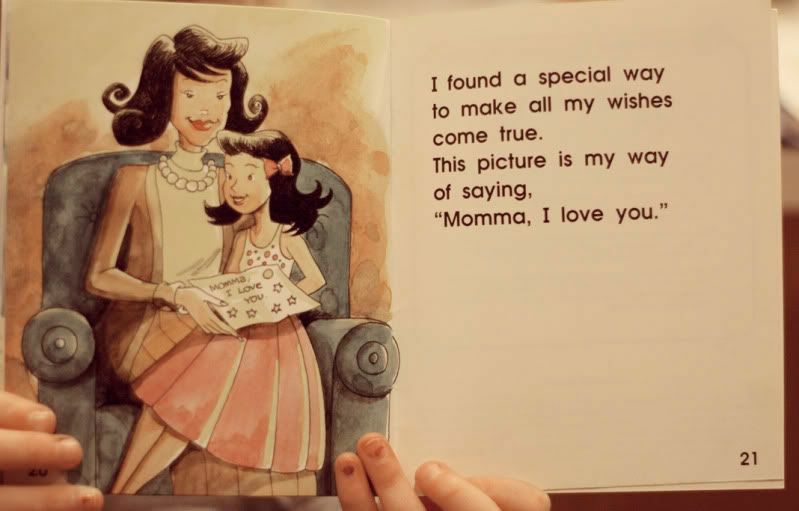 I love this book "My Special Wish" as much as you do, and I want you to know that my special wish for you has come true. You are in love with reading, you are excited to do it, and you are excellent at it. And just in case you've forgotten, I love you too! And what's up next for Lou? 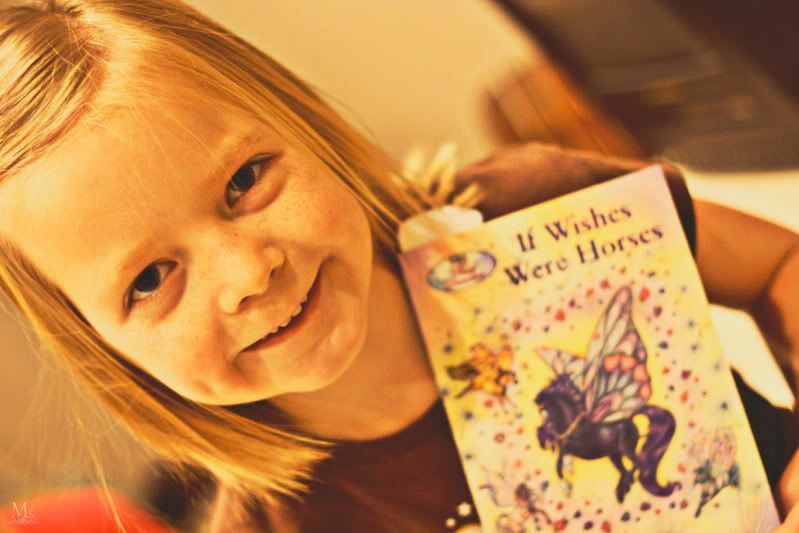 A new wishing book about horses, and in her words it's a chapter one! Oh Marv, that made me cry! I have a friend who always says, "If you can read, you can learn to do anything." I believe it. 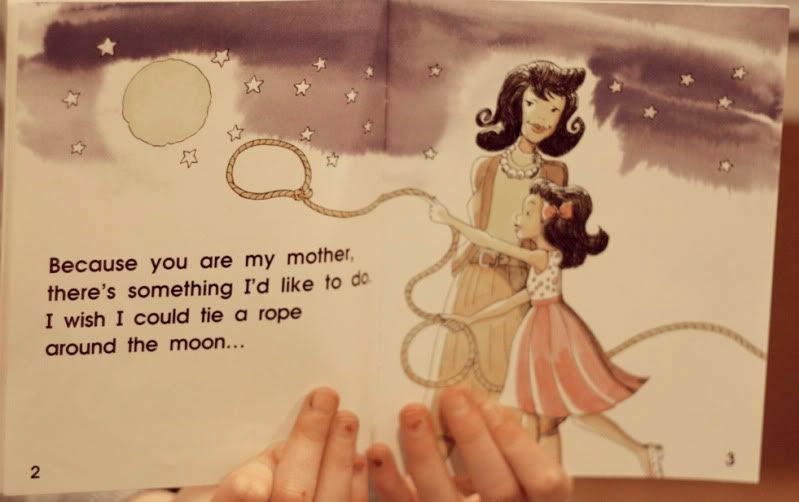 How wonderful that her first favorite self read book is about mothers. Very sweet. That is awesome! Way to go Lou!!! I saw this when you first posted it I just ran out of time to comment. 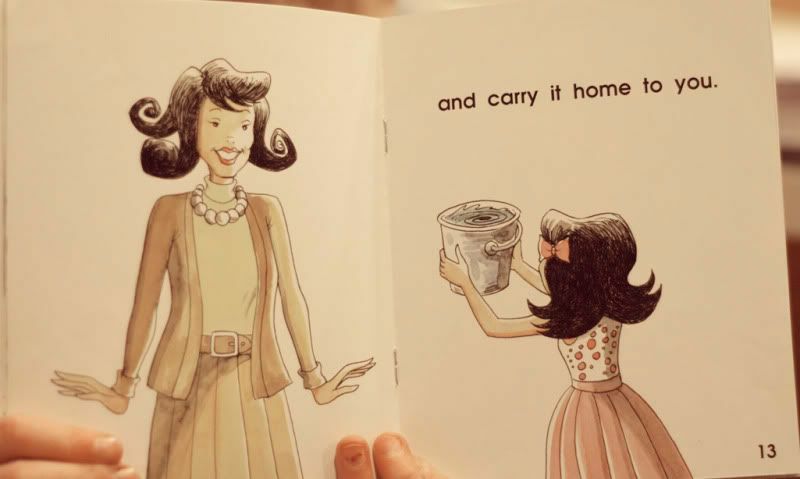 I remember the first book I read to my mother. It was special because I was reading and she wasn't. That Lou sure is beautiful, inside and out.